Central City Concern tenant Allen Roberts and Bikes for Humanity volunteer Frank Wong work on a donated bike that Roberts will soon call his own. One of Portland’s longest-standing volunteer bike nonprofits is struggling to survive the departure of its founder and full-time volunteer staffer. As a gesture to show “our commitment to the community,” Bikes for Humanity is holding a free “tune-up-athon” today at the corner of Ladd and Division, moving to the People’s Co-op farmer’s market (Southeast 21st and Tibbets) at 2 p.m.
It’s also looking for buyers for a Scott carbon fiber bike (a $5,000 retail value marked down to $1,500), among other bikes and high-end gear from a bike shop that closed recently in The Dalles and donated its inventory. The organization has burned through $10,000 of an approximately $15,000 cash reserve in the last several months, with the remaining cash due at the end of the month. That’s the word from B4H board member Andrew Shaw-Kitch, who wrote in an email Monday that wintertime sales at B4H’s Powell Boulevard storefront haven’t been enough to pay the three people hired this year at various levels of time commitment in a plan to replace retiring B4H founder Steven Kung. B4H is an enterprise that has worked through various channels for 10 years to fix and recirculate Portland’s unending torrent of discarded bikes. It spent years as a labor of passion for Kung and others. When Kung retired from a day job in the high-tech industry in 2013, he spent two years working for free to build his creation into something that might be large enough to outlast his involvement. 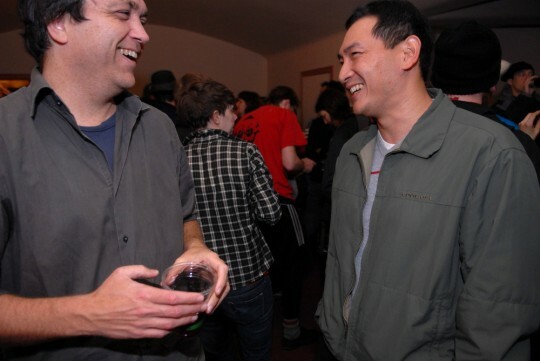 Bikes for Humanity founder Steven Kung, right, in at the 2008 premiere of Veer, a film that included the B4H story. Back in April, we visited a build-a-bike program called Chain Reaction, created by B4H for residents of Central City Concern’s transitional housing in Portland’s Old Town. “It seemed too good to be true, to learn the bike and then get a bike,” Brody Woudstra, a student at the workshop, told us then. Bikes for Humanity has never lacked for free bikes. Its main costs have been rent (for its Powell bike shop, opened in 2014 after the operation outgrew Kung’s house) and staff time. Shaw-Kitch said Chain Reaction cost B4H about $1,500 over the last two months, all of which went to a $750-a-month contract with Matthew Mendez to managing its volunteers, repair supplies and relationship with Central City Concern. Terrence, who has debilitating back pain to the extent walking a couple blocks is a struggle, can ride 20 miles in a day exploring the city without discomfort. Gavriel, another client, was granted an already completed bike while he finished his so he could start immediately at a job doing deliveries by bike. But the program brought in just $300 in the last two months from shop sales of bikes built there. Shaw-Kitch said Mendez will continue to run the program for now but only as a volunteer, compensated in bikes. Instructor Mark Sando with students Brody Woudstra, Willie May and Joseph Vasquez. 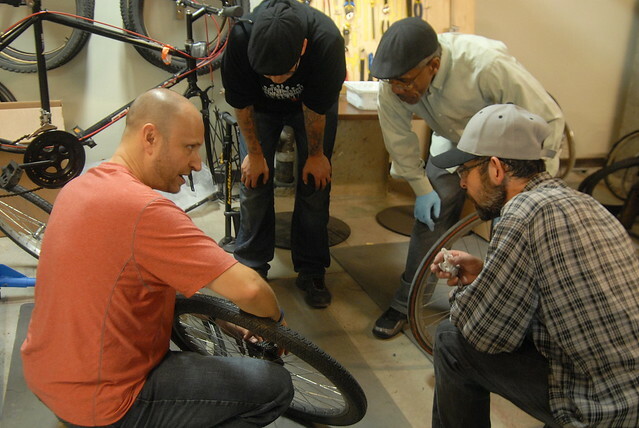 Chris Nelson, B4H’s longtime volunteer instructor and a local bike mechanic, joined the staff in June to start running the Powell shop. But that profit hasn’t been enough to pay through the winter for rent, Nelson’s salary, Mendez’s time and the time of Scott Anselmo, who took on part-time program tasks that had previously been done for free by Kung. 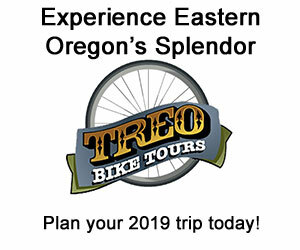 “The last few months of slow shop sales and lack of donations at external events (like Sunday Parkways and other summertime activities) have proven our ambitious model needs a form of off-season funding,” Shaw-Kitch wrote. Like many committed volunteers I began as a student in the volunteer mechanics class. As an underemployed writer trying to make ends meet, being able to maintain my own bicycle was an attractive idea. In the last year I have had both the pride and economic advantage of fixing myself everything that came up on my Miyata and the Surly left to me by my brother, with the professional, compassionate help of B4H volunteers. After I took the VMC last fall, I began volunteering at external events. The first Fix-It Fair at Parkrose High School marked my first anniversary volunteering with the organization. I joined the board a year ago, and took over Team Promotions shortly after, and found the experience to be both personally and professionally empowering. In the summer, no doubt to my commitment to a like-minded organization, I was hired as an instructor for the Community Cycling Center’s Bike Camp. 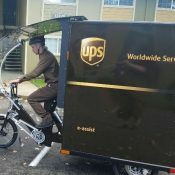 I have since worked as a mechanic for the mobile bike outfit Sprocketfly, and can earn a few bucks whenever I want delivering for Postmates, knowing that if anything happens to my bike on the road that I can take care of it. In other words, volunteering has given me the purpose, pride, and skills to give my life in Portland meaning and to make that meaning sustainable. 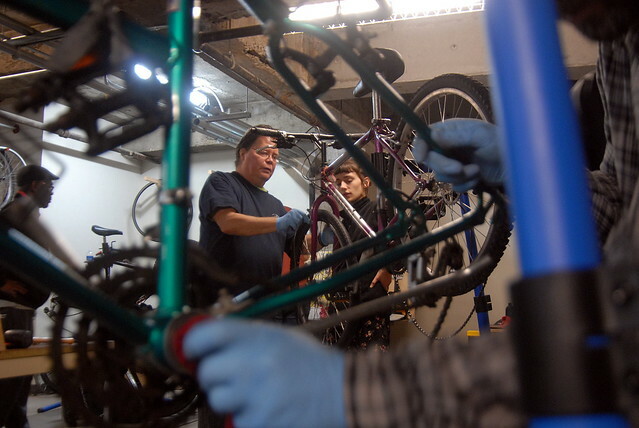 Bikes for Humanity not only serves as a space for learning to fix bikes, but also as a place where a volunteer can learn how they can help others not only to fix bikes, but rely on and fall in love with them. I’d like to think that Portland has space for a bike organization that has sincerity but may lack a professional structure. We benefit from the huge concentration of skilled mechanics, UBI certified or otherwise, and provide many with a space to apply their skills and passion when the saturated job market frustrates their desire to put their knowledge to work. If a kid gets a new-to-them bike in the process it just sweetens the deal. Artists don’t have to wait for a job before they can begin impacting the world with their work, and neither do mechanics. If you’ve ever seen somebody patch a stranger’s tube out on the road you know what I mean. Central City Concern tenant Billy Murrell works with Bikes for Humanity Volunteer Holly Kvalheim. 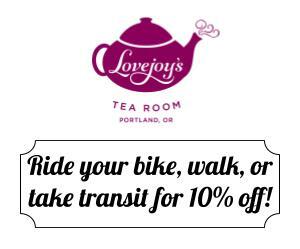 To show our commitment to the community, we are doing free tune-ups and repairs all Wednesday, starting at the corner of Ladd and Division Wednesday at 7AM, and moving to People’s Co-op’s farmer’s market at 2PM. It was always Steven’s contention that if we do good work for members of the community in need, the community will be there for us. I’m not ready to give up on that yet. From a business standpoint, it’s quite a prime location. I think a less expensive location could help you achieve your mission without the stress. Maybe you should consider that as part of your long term (re)organization plans? That location is terrible for a bike shop. Dump Powell and get on a Greenway or a street with a bike lane. Good luck! Powell is obviously not ideal for attracting already empowered bike commuters, or more well-off folks on a Sunday bike ride. However, it is perfect for those who our mission seeks to help: lower income folks riding the chronically overcrowded 9 bus, people who use the Powell sidewalk as though it were the bike route because their bikes aren’t safe or fast enough enough to tackle the hills on the adjacent bike routes (Clinton/Gladstone), and those who can afford to commute on Powell and are stuck in bumper-to-bumper traffic in front of our shop everyday, serving as a beacon for another option. While maintaining a bike shop on an urban freeway is not easy, it is important work that looks toward a more livable future for our city. 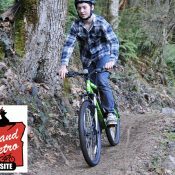 Our website has changed since the last bikeportland article and may be found here: b4hpdx.org and we have a fundraiser at gofundme.com/b4hpdx. If we received a donation for $50 dollars for each bike we granted this year, or $5 for each free tune-up granted to the community, we would be in the position for an even more impactful 2016. What we lack, however, is professional fundraising, which I imagine most supporters of bike non-profits don’t want to subsidize with a donation anyhow. All donations are tax deductible and go straight to our work: making the bicycle a possibility for as many people who want it, and doing that through free education and reuse of materials. Wow, I had no idea B4H was in such dire financial straits. I had heard great things about the Chain Reaction program from volunteers and beneficiaries, though I’ve also heard they were having trouble keeping a staffer for a while, as the pay is low for the skills required. Glad to know that Matthew is there, though – while I don’t know him well, I suspect he’s doing an excellent job. I routinely refer people to B4H from Bike Farm (where I volunteer), as I think the two organizations complement each other nicely. I hope y’all find a way to make ends meet. I wonder if there’s an opportunity to team up with the Community Cycling Center? Your missions seem highly aligned. I think it was about a year ago that CCC took on some warehouse space … not far from Bike Farm, IIRC. Perhaps check in with Mychal?